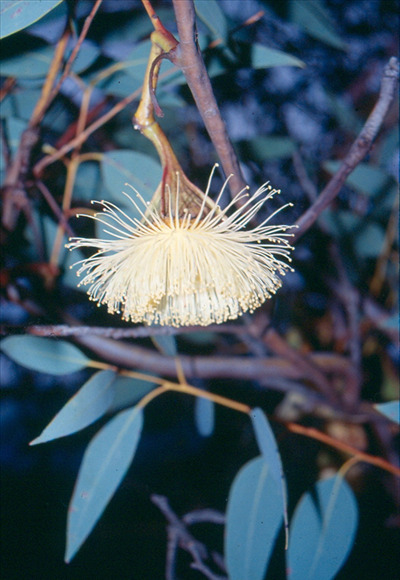 Ornamental, small, profuse cream (or red) flowering mallee eucalypt 6'- 18'. Tolerates light or heavy clay soils. Moderately drought tolerant and hardy to most frosts. Fast growing. Flowers and fruit are suitable as cut flowers.